In 2014, The Financial Accounting Standards Board and the International Accounting Standards Board created new standards which prescribed rules for recognizing revenue in all industries around the world. Those standards are called ASC 606 (in the US) and IFRS 15 (international version). 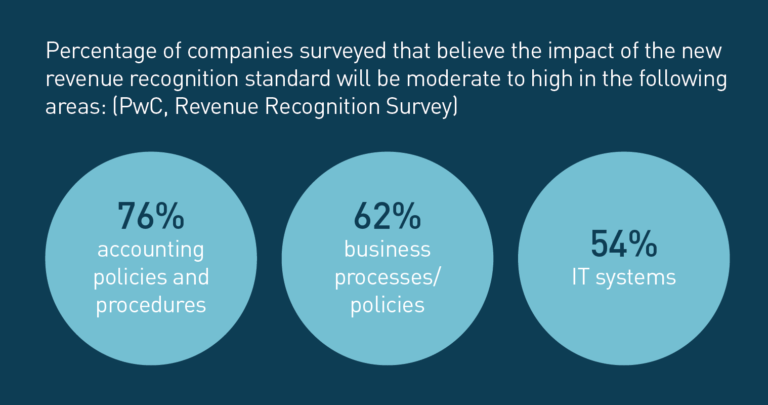 It replaces the old standard for revenue recognition known as ASC 605. Companies had four years to comply and as of December 2018, it has been officially rolled out. That means, as long as you’re following GAAP (generally accepted accounting principles), you should be ASC 606 compliant. 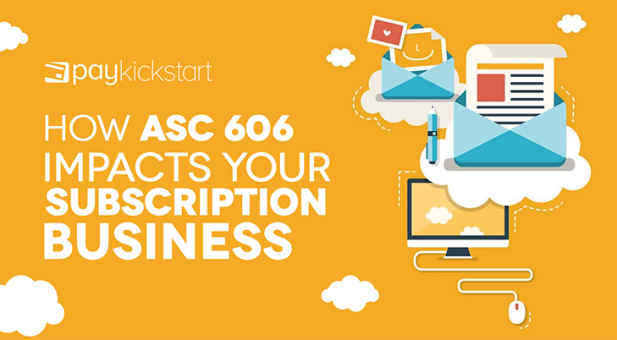 This article shares high-level information on what ASC 606 is and how it affects your subscription business. Quick note: The information below is meant to help you get a better idea of the new regulations but you should consult with your accountant or finance team before making any changes. The full name of the new standard is ASC 606: Revenue from Contracts with Customers. As the name implies, it focuses on how revenue from your contracts with customers is reported. Previously, there were no standard set of rules that governed how revenue was recognized which lead to each industry evolving its own set of standards. Needless to say, this caused issues. Some industries could report higher revenue on the same income while some industries would report lower revenue. ASC 606 seeks to standardize this process so the same dollar of income is reported the same way across all industries. More specifically, it prescribes the timing for when revenue can be recognized. This may not be as important to retailers because they receiver revenue at the same instant they deliver their service or goods. Subscription companies are different. A customer may sign up for a twelve month subscription and pre-pay. Even though the money hits your bank account at once, you won’t be able to recognize that money until certain conditions are met. These conditions are known as performance obligations and are spelled out in your contract with the customer. We’ll talk more about that in a moment. With every customer contract, the new standards say you recognize revenue in a manner that reflects the amount and the timing of the consideration received for products and services. This is a roundabout way of saying when you’re recognizing revenue in your business it should be done so it’s clear how much that revenue is and when you earned it. Identify the contract with the customer. Before the contract can become binding and enforceable, two parties must agree. There are essential portions of the contract before that can happen. Identify the performance obligations in the contract. These are the obligations the seller has to transfer goods or services to the customer. There may be more than one performance obligation in a contract and each one is independent. For example, you can deliver software and training. The software is one performance obligation and the training is another performance obligation. Each one has to be fulfilled before you can recognize the revenue associated with it. Determine the transaction price. This is the amount you expect to receive in exchange for meeting your performance obligation. How much do you expect to be paid to deliver software and training to a customer? 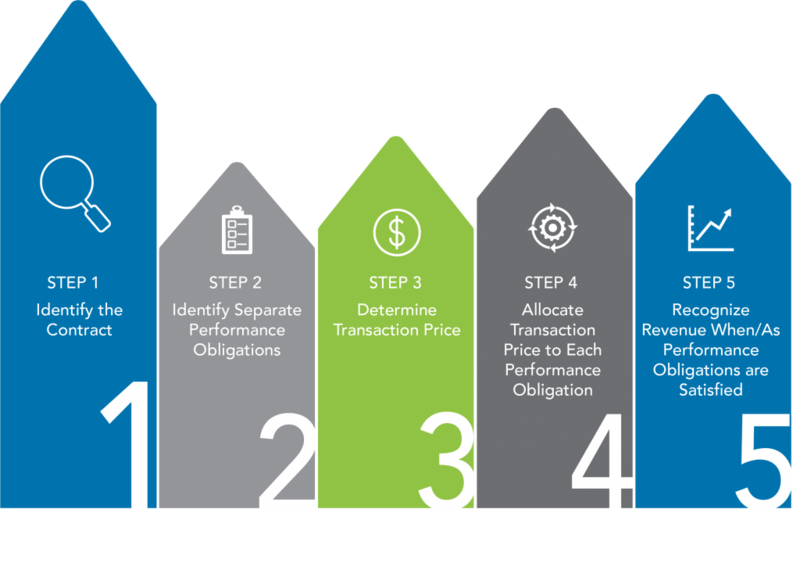 Allocate the transaction price to the performance obligations in the contract. When your contract has more than one performance obligation, each one needs to be assigned a price. For example, if you’re selling software and training under one contract, both of them should have a price attached to them. 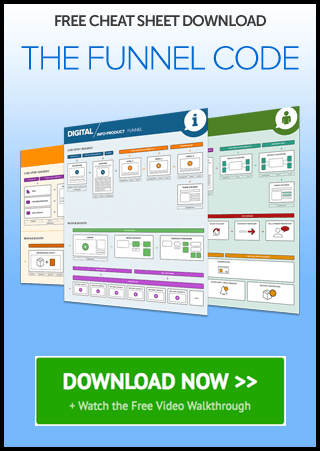 That way, when you fulfill the performance obligation, you can recognize the revenue individually. Recognize revenue when the company satisfies a performance obligation. Performance obligations that are fulfilled at a specific point in time are simple. Revenue is recognized at that time. When performance obligations are fulfilled over time, it’s up to you to properly measure the progress and completion of the performance obligation. Performance obligations are complete when control of the good or service spelled out in the contract has been transferred to the customer. You can read more about the five-step process here. If you’re wondering how this regulartion affects your business, you’re not alone. Many of those surveyed by PWC feel it’ll have a large impact on their business in multiple ways. Subscription businesses charge a fixed fee to their customers over time. We’re all familiar with that aspect and if a customer is on a monthly subscription, revenue recognition is straightforward. What about when your customers have annual or biannual contracts with you? How does that work out? You have a subscription that costs $500/m. You negotiate a contract with a customer for one year at $5,000 but they pay every six months. The total contract value is $5,000 but you’ll be collecting $2,500 every six months. Of that $2,500, you’ll only be recognizing $416.67 every month. Even though you’re collecting money upfront, you’re fulfilling your performance obligations on a monthly schedule. This example is relatively straightforward but what happens when you start to add other things to the mix? Most businesses have many products and services they use to maximize revenue from each of their customers. A two sided marketplace would have a complicated fee structure. Each of these line items is recognized separately. Would the credits buyers use to gain visibility in auctions be recognized when they’re sold or when they’re used? Would the transaction fee be recognized when the goods are shipped and the buyer receives them or when the transaction is finalized? Would the percentage charged to the seller be recognized immediately or after another performance obligation is met? There is no simple answer. The subscription marketplace in the example would need to take each line item through the five step process above. Only then can they decide how best to recognize the revenue. The added complexity may even encourage them to change their business model. The ASC 606 regulation has far reaching implications for how all but the simplest subscription businesses recognize revenue. The main thing is to follow the five step process to understand each of your contracts and the performance obligations contained therein. After that, decide on the best way to recognize a specific type of revenue and stick with it. There’s nothing worse than inconsistent accounting practices. This article is a high-level overview of ASC 606 and how it’ll impact your subscription business. Talk to your accountant or financial team to come up with a sound strategy so you’re protected going forward. Let me know what you think of ASC606 in the comments and don’t forget to share.